← Hey, inspiration! Are you out there? I don’t have to have a quiet place to write. Or think. I’ve written in the best of noise. A food court at the mall. Starbuck’s. The fine dining area in Costco. The Coffee Bean. I don’t hear a thing. 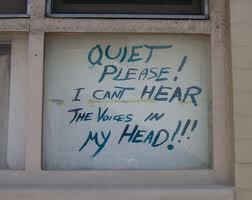 I must be “in the zone.” But there are times when I do want quiet. 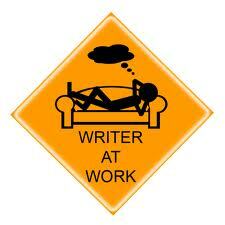 To slog through five pages of a story I’m writing – when I’m into the hard work. To read or let an idea perk or unknot a problem. To have a secluded talk. Or renewing walk. At times that quiet spot is hard to find. 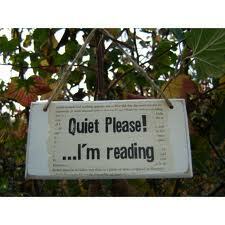 Recently, I tried the local library with one goal in mind – to read – in a soft chair in a secluded corner. I wanted to steal a free hour or so before going to a nearby appointment. 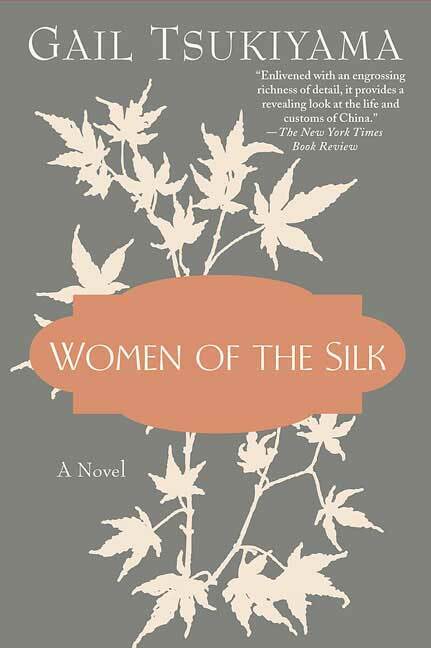 In my purse was a copy of Women of the Silk by Gail Tsukiyama. The story, set against a backdrop of impending violence and struggle in 1920’s China, had me hooked. Let us then enjoy life as best we can. The reading mood overtook me and I settled into the chair. I wanted to know what happened to six-year-old Pei after her father left her at a silk factory near the city of Canton in 1919. And then … a man sat down in the chair next to me. There were other empty chairs nearby but so be it. His Los Angeles Times rattled and from my peripheral vision I saw the sports page. I focused back on Pei. She felt abandoned by her father. A cough from the sports fan next door. Pei was sobbing, running from Auntie Yee, running to where her father should have been waiting for her, but he wasn’t there. The sports fan sniffed, coughed, rattled the newspaper. He blew into a handkerchief pulled from a pocket in haste. After that, each time he coughed or turned a page, it sounded like a door slamming. I realized that, for the moment, Pei and I weren’t meant to spend time together. I gave the man a sidelong glance, turned down the page corner, and closed the book. The mood was gone. Another time, a girlfriend called who had “something to tell me.” We decided to meet at a seaside hotel in Laguna Niguel, enjoy the ocean view, and have a drink. However, the usually quiet hotel lounge suddenly filled with newly arrived shorts-clad travelers from a tour bus. Then suit-clad convention delegates with flashy name badges strolled into the lounge. Through the floor to ceiling windows, the beauty of the evening sun sinking slowly into the ocean was barely noticed. My friend and I escaped to a viewless table in what looked to be an out of the way corner. The cocktail waitress – Laurel, according to her name badge – arrived and knelt to hear our orders. Time passed. We waited for our drinks and talked, our voices rising to the level reserved for conversations with hard-of-hearing elderly aunts. 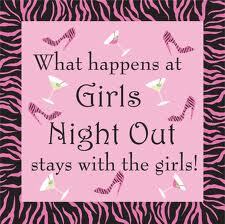 The noise increased with the alcohol intake of the vacationers and conventioneers. I looked for our waitress. She finally appeared with tulip glasses of champagne. The expression on my friend’s face shifted from pleasant to pained. I thought it was because of the noise, the long wait for a drink. I cupped my hand to my ear to hear her. You’re what? Getting a divorce? You can’t shout back and forth across a table about something like that. We decamped to a nearby coffee shop. Shortly after that, I decided on a trip to Laguna Beach to attend the annual art festival. I’d also squeeze in an evening walk by the ocean. After the festival closed, I stashed my finds in the trunk, locked the car, and set off for the beach. Not too many people lingered. Mid-week was a good time. A few quick steps and I was there, shoes in hand, feet in the sand. The ocean folded soft waves onto the shore as I walked in the wet firm sand by the water. Deep breathing filled me with ocean air and smells of the sea. I savored the solitude. And then I heard it. Boom-diddy-boom-diddy-boom. Boom-diddy-boom-diddy-boom-boom. A group of teenagers walked toward me, bobbing to their music. Soon voices came from behind. I stood in the middle of two converging groups of teens ready to dig in for a bash at the beach. Good-by to a soul-finding walk along the California shore. Obviously, we can’t expect the world to sense our moods and be quiet to accommodate us. But it’s good to have a quiet niche we can depend on. Mine’s very near and always there. Where? My own office at my own desk. Virginia Woolf had it right. We all need a quiet place, our own place. Hope you’ve found yours. This entry was posted in Books, Books and E-Books, Creativity, Inspiration, Reading, Writing and tagged book stores, Books and E-Books, gail tsukiyama, silk factory, women of the silk. Bookmark the permalink. 5 Responses to Looking for a quiet place? Hi Susan … I’m hoping to find another quiet place, someplace close to nature when we go to the mountains. I want to be outside and breathe the clean air and just be. I remember hearing about some of my favorite books being written in some of the most interesting places! Loved this post! Like your blog! Hey, just a helpful hint. Your address of your blog is not linked to your name or gravatar when you LIKE someone’s blog…. that means you are not generating traffic to yours. Unless like I did, people take the time to cut and paste yoru name and then add wordpress.com to it to find you. Some people don’t know how to do that. Click on your Gravatar or your name and notice it does not have a link to here. You have a nice blog and should be generating more traffic! If you go to my blog (click on my name/gravatar and you will see) Then scroll down and another blogger on one of my recent posts a few days ago explained how to do it….